Ah, cow’s milk. It does a body good... specifically, a young calf’s body. But what about humans? Not so much, turns out. In fact, milk might actually make your bones weaker, and is associated with a higher mortality rate. In short, milk fiends are likelier to break bones or die than their lactose-shunning counterparts. And yes, there's more than one piece of evidence to suggest an unhealthy correlation. It should come as no surprise that the dairy industry has deep pockets and gets significant government coin, so to say the milk debate is politically charged would be an understatement. Whether you want to stick it to Big Dairy, follow the USDA’s recommendation to consume more fruits and vegetables, or you’re just grossed by the thought of drinking bovine mammary fluid, you’ve got plenty of other calcium options. Even if you don’t think milk is Satan’s nectar, chances are there’s something you could be eating that’s going to give you more nutritional bang for your caloric buck than cow juice. 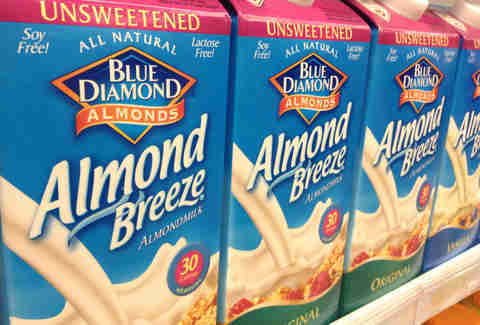 Yeah, a "milk" made from nuts has more calcium than the real thing. There's been some controversy over the amount of water used to produce almonds, but COWS require a lot of water, too. Plus, isn’t it nicer to think about happy almond trees waving in the sun instead of sad, hormone- and antibiotic-laced cows in factory farms? Like, a lot nicer? Slightly bigger than navy beans, great northern beans are another (sorry) great option, with 320mg of calcium per cup. This getting enough calcium thing is pretty easy, even without drinking the frothy breast milk of another animal! 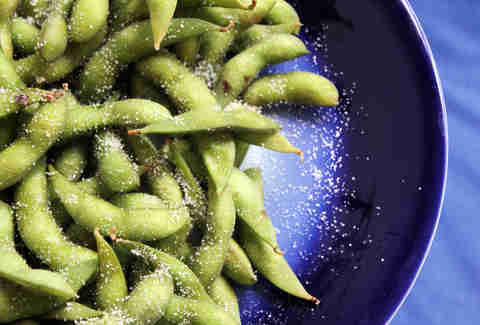 You may be more familiar with the more appealing name "edamame." Soybeans boast a whopping 506mg of calcium per cup, blowing milk out of the water. 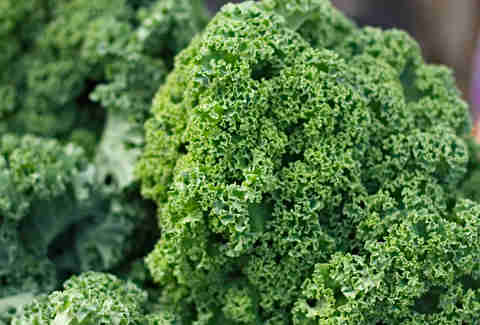 Not only do these fiber-rich calcium bombs help fill you up, they’re also the highest quality protein, according to guidelines used by the Food and Drug Administration and the World Health Organization. One of the more underrated condiments in existence, tahini -- a paste made of toasted sesame seeds -- contains loads of calcium, which should totally justify that hummus or babaganoush binge you went on. Calcium bonus achieved if you made a kale salad with great northern beans and a tahini dressing. For dessert, dive into some figs, which you can wash down with a tall glass of almond milk. 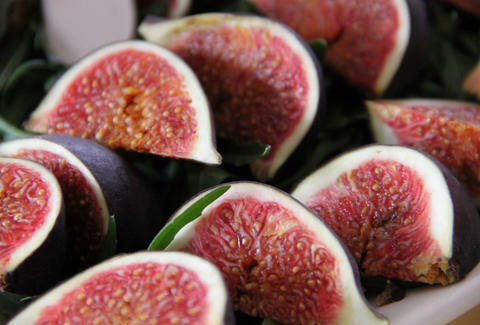 A large fig offers more than 20mg of calcium, which is an excuse to eat 15 of 'em in a single sitting. Just keep in mind that calcium isn't the only nutrient your body needs, so try to mix it up from time to time. Missy Wilkinson has three pounds of figs chillin’ in her fridge right now. Follow her on Twitter @missy_wilkinson.